This is another great book in the series! 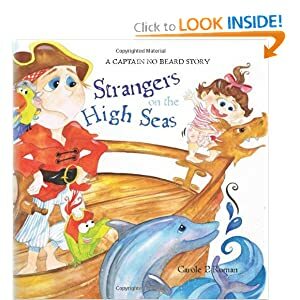 Filled with great illustrations and a great message, even the captain learns in this that having a small one on board may just be what he needs to be able to foil the plans of his enemies. What was great about the book was that the message of big things come in small packages definitely holds weight here and in reading it to my own girls, we had a great conversation about this afterward which presented some great father-daughter bonding time!